In response to Peter’s question, “We have given up everything and followed you. What will there be for us?” (Matthew 19: 27), Jesus promised, “when the Son of Man is seated on his throne of glory, you yourselves will sit on twelve thrones, judging the twelve tribes of Israel.” (Matthew 19:28). He also offered a hundred times more of what they had given up and inheritance of eternal life. (Matthew 19: 29). 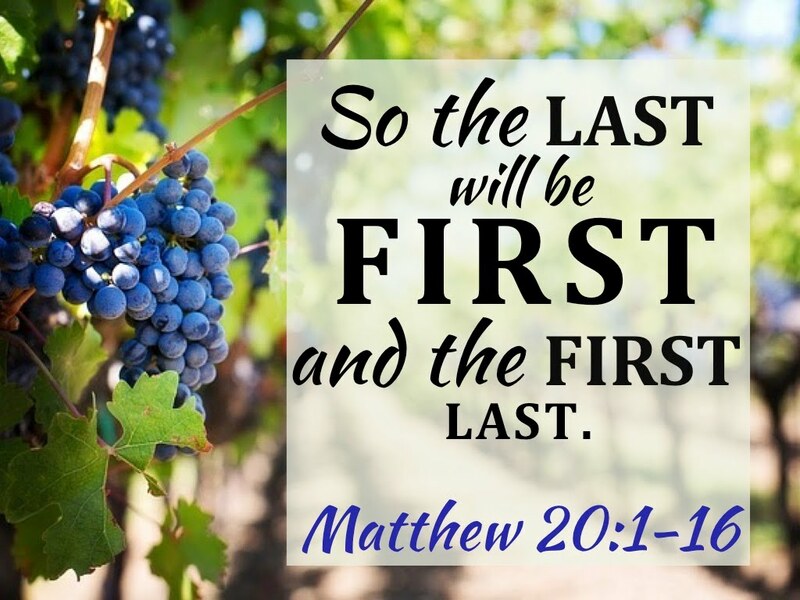 He then concluded saying, “But many who are first will be last, and the last will be first.” (Matthew 19:30). As a continuation of this, Jesus gave the parable of the workers in the vineyard. Through it, Jesus taught that God’s generosity surpasses that of human thinking. So the late converts and ministers in the church also might get an equitable reward. The early disciples should be ready to appreciate the magnanimity of God in favoring the latecomers in his kingdom. Only Matthew presents this parable. The context of the parable, from what is given prior to this story, is that Jesus was talking about the reward his disciples might attain for giving up everything and following him. The disciples of Jesus were not from the conservative Jewish leaders. The disciples were ordinary people like fishermen or even a tax collector Matthew. They were not strict observants of Jewish traditions. However, Jesus promised them great reward. (Matthew 19:28-29). So, these late comers in God’s new kingdom will be rewarded generously compared to the Jewish leaders who kept the traditions strictly throughout their lives. To the rich young man who kept all the commandments of the Lord, Jesus said: “If you wish to be perfect, go, sell what you have and give to the poor, and you will have treasure in heaven. Then come, follow me.” He declined to give his material goods for the kingdom of God. Unlike that rich man, the apostles had given up everything for Jesus and followed him. To them Jesus said, “But many who are first will be last, and the last will be first.” (Matthew 19:30). In the parable of the workers in the vineyard, Jesus illustrated how God welcomes even the less prominent like the apostles into his kingdom and reward them for their labor out of his graciousness.